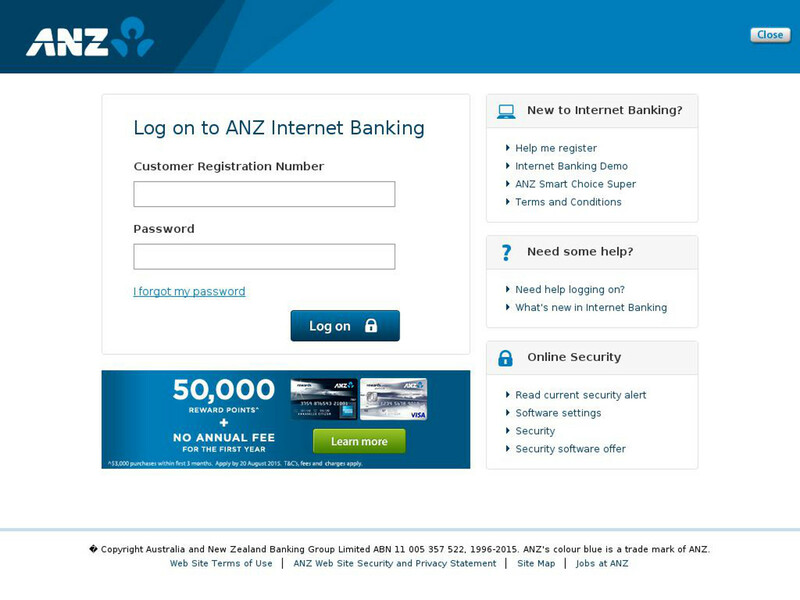 Another ANZ bank phishing email scam has been caught by MailShark spam filters and puts recipients at risk of accidentally releasing online banking log in data. ANZ is short for Australia and New Zealand Banking Group and is the fourth largest bank in Australia. Keep reading to identify the danger within this email and the website it leads you to. Delete it if received. Figure A shows the email in question. It is well branded and at first glance appears to be a legitimate ANZ email. The subject line is generic and reads “New Message Notification” and the sender is shown as “ANZ Internet Banking”, but it is sent from a Gmail address instead of an official ANZ email address, which would obviously contain the ANZ Bank domain name. 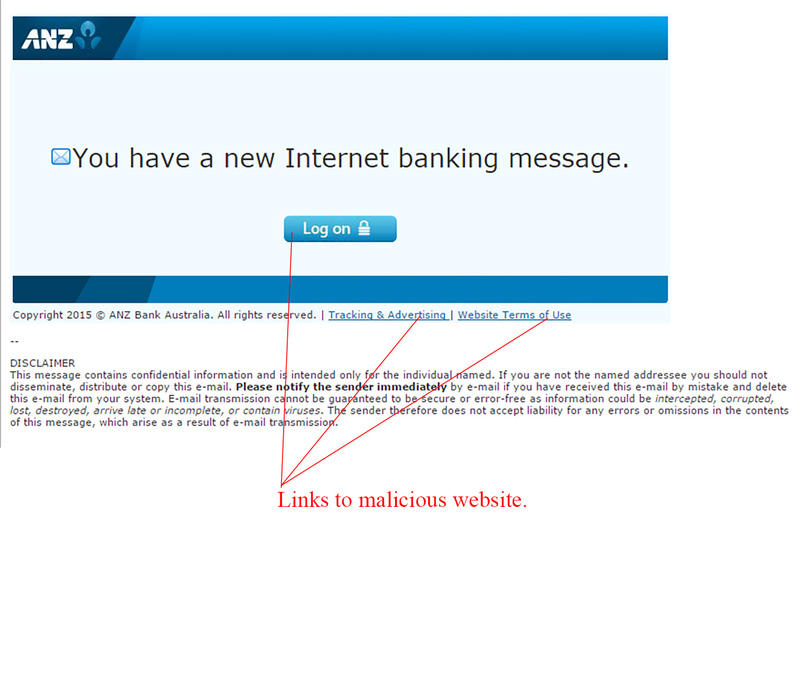 MailShark have reported the scam and destination URL to ANZ. Figure B is a safely captured screenshot of the website you will reach if any of the malicious links within this email are clicked. It is a very well designed, fake, ANZ online banking portal which is created to trick you into entering your banking details, which will then be captured and shared for malicious reasons. Always check the URL of a page or log in from the official website to avoid accidentally falling for this phishing trap. This page has taken the extra steps to even include fake ANZ advertising and website terms which can further convince the receiver and give it authority. Don’t be fooled by this dangerous website and do not enter your information on this page. If you are ever in doubt when it comes to emails from your bank, contact your bank directly. Most banks will rarely email you and hardly ever prompt you to provide further information. It is best to delete this email immediately from your inbox to avoid confusion.